A French bronze ring, stamp or jewelry box from about 1900 was gold plated and has lion head feet. 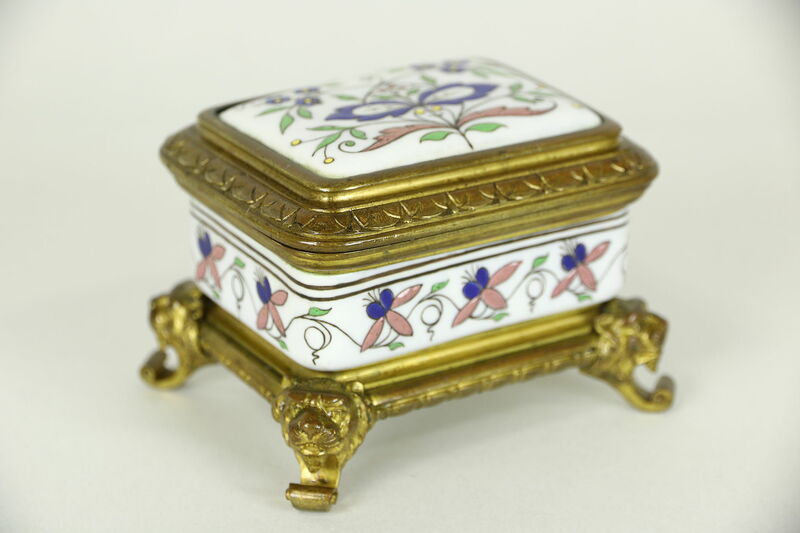 Porcelain inserts have raised hand painted enamel on this elegant unsigned antique. Size is 3 1/2" wide, 2 3/4" deep and 2 1/2" tall.